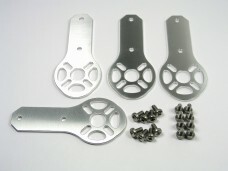 The X600 Aluminum Motor Mount Set is CNC machined from billet aluminum. 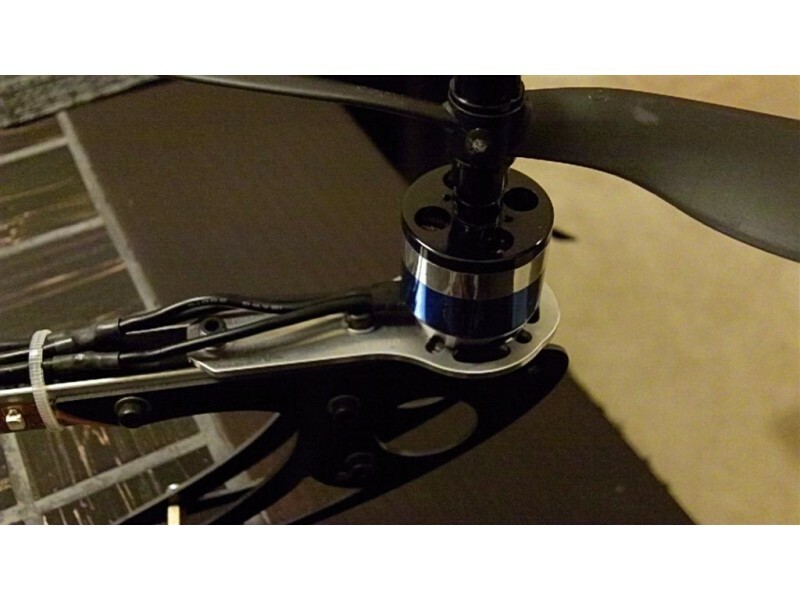 It is designed to adapt a large range of 28mm and 35mm outrunner motors to the X600 Quadcopter. These mounts are .110" thick and much stronger than the stock ones avoiding the common cracking and breaking issues. We have also added air flow holes which will help keep your motors running cooler and more efficient. 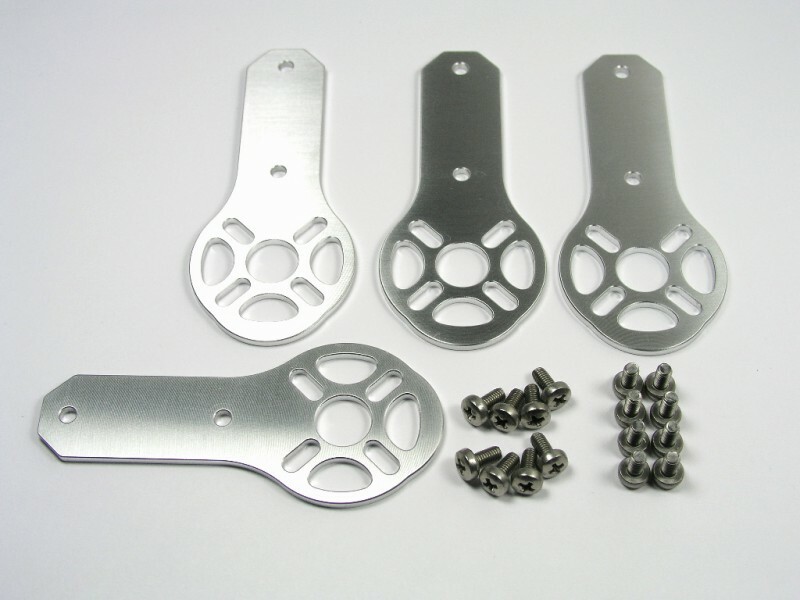 The extra rigidity of these mounts will help eliminate the common vibrations found on multirotor copters. For those using video equipment, this means a much higher quality recording or live video feed. The X600 mounts are a direct replacement with no modifications necessary. Attach mount to frame with original mounting screws.